This cookie recipe is incredibly quick and easy to put together. 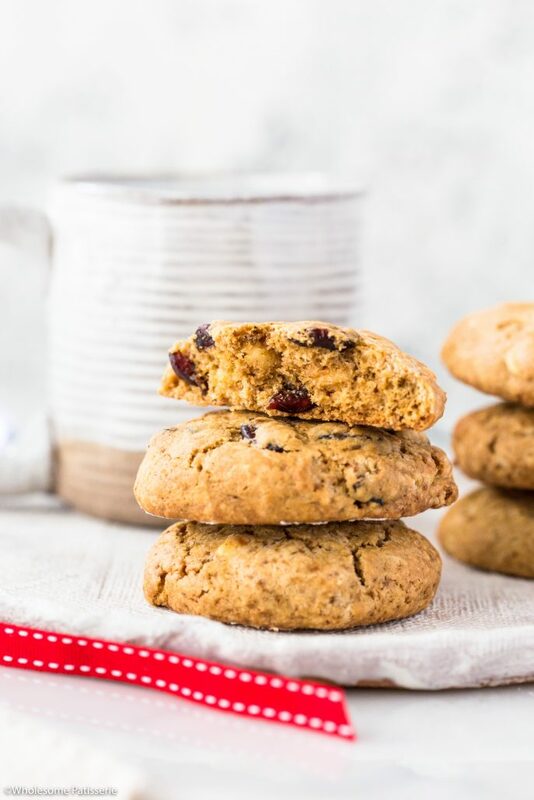 The hero’s of these cookies are the dried cranberries and heavenly white chocolate chips. 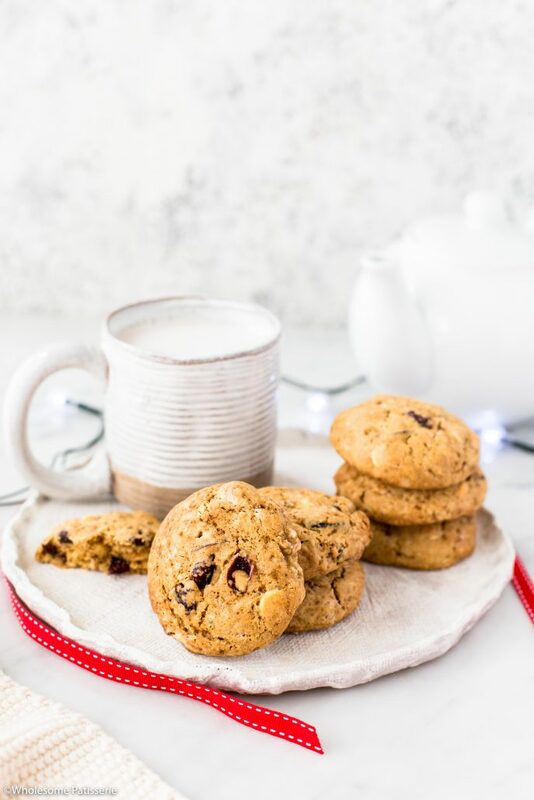 The cookie dough itself will warm your soul with spices of cinnamon and nutmeg. Made traditionally by rubbing the butter into the flour with your hands, Christmas will bring out your inner baker, I hope you’re prepared! 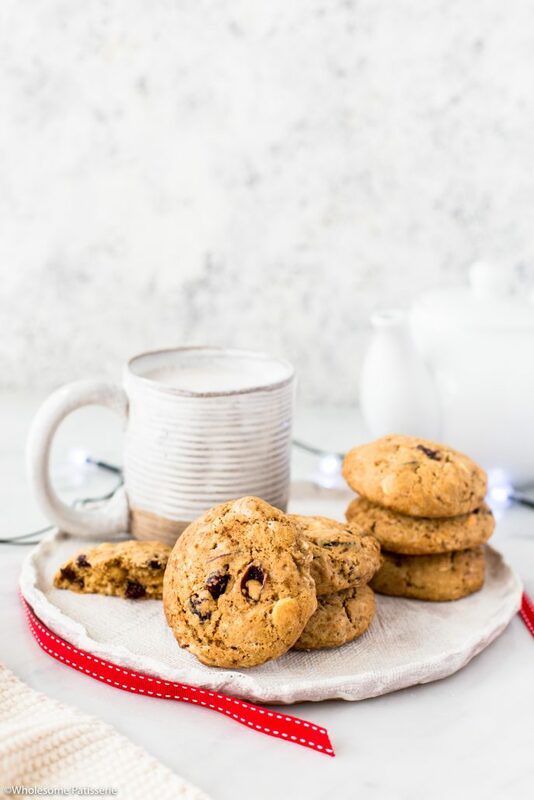 Serve your homemade cookies warm from the oven (omg yum!) with a hot cup of tea ready to go. Or you can cool them right down and store them away, ready for you to snack on whenever you desire. 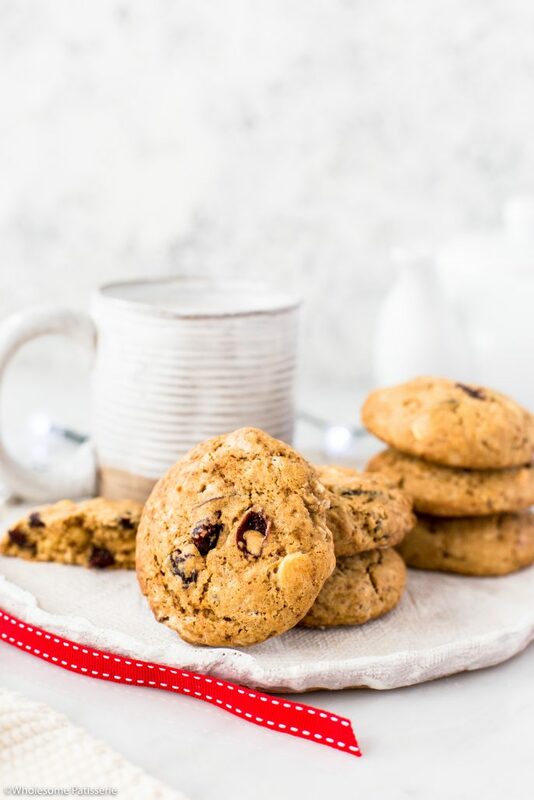 If you want to take your cookies to the next level, or get the kids involved, melted some extra white chocolate chips and drizzle them over the cookies. Preheat oven to 190ºC (375ºF). Line a large baking tray with parchment paper, set aside. In a large mixing bowl, sift flour, cinnamon and nutmeg together, mix well. Add cubed butter, rub into flour using your hands, until mixture resembles a coarse crumb. Stir through sugar, cranberries and white chocolate, mix until well combined. Add lightly whisked egg and milk, stir together with a wooden spoon until it forms a soft dough. If mixture is still too dry, add another 1 tablespoon of milk. Pick up approx. 1-2 tablespoons of mixture and roll into a ball. Place on lined tray and press down to form cookies. Repeat with remaining mixture. Bake for 15-18 minutes or until lightly golden. Remove cookies and cool on tray for 5 minutes. Store in an airtight container, in the pantry, for 1 week. *I use Bob’s Red Mill Gluten Free 1:1 Baking Flour.